A race that was perhaps expected to decide who the championship winner of 2016’s electrifying season would be only increased the intensity of the competition by delaying the inevitable. 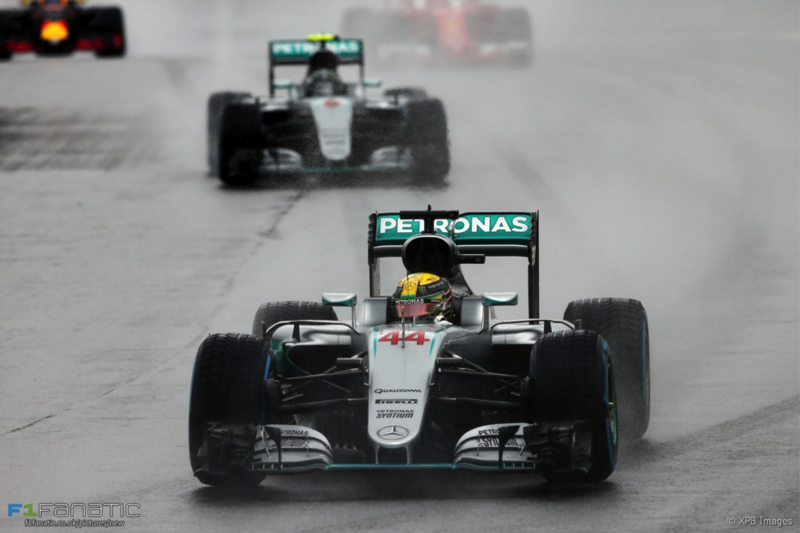 The Brazilian grand prix of 2016 was Formula One at its best with odds being stacked in favor of rains. Cars skidding, slipping but managing to maintain pace and very little of the traction that they could purchase from the slippery zany curves of Interlagos’ 71 lap madness persisted with Mercedes winning 1-2. 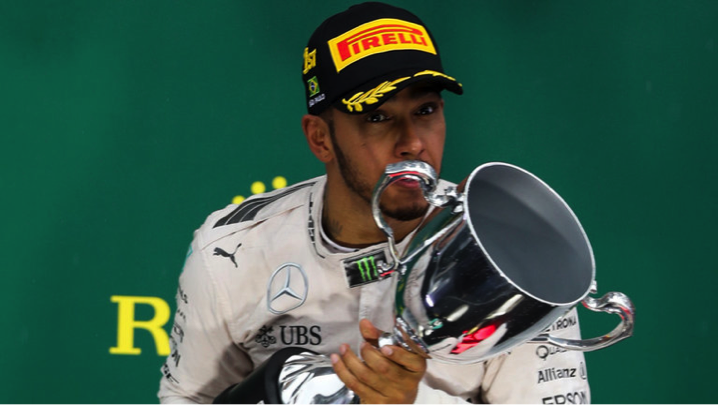 But the winner wasn’t who we expected, it was the one who perhaps holds the trump card to surprise, given that ‘Trump’ is the word of the season: Lewis Hamilton. 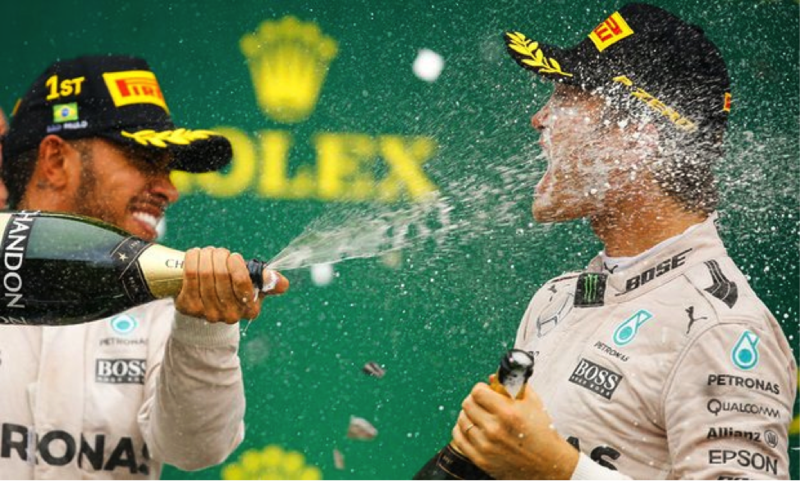 Rosberg with 367 drivers points is 12 ahead of Hamilton who’s threatening to spoil Nico Rosberg’s party at Abu Dhabi. But there is all to play for. There is nothing to lose. Anything can happen. There can be last minute technical blow ups, race retirements and for heaven’s sake, since Interlagos on November 13, who knows even inclement weather at Abu Dhabi? Although the chances of that happening are akin to a thundery shower in the desert. But who knows? This is Formula One where madness unfurls itself at least expected moments. Where chaos unbundles joys for a rival team- such as it did for Red Bull thanks to Ferrari’s blow up at the torrentially wet Interlagos track at Sao Paulo where in the immediate aftermath of Sebastian Vettel’s skidding off the tarmac into the grass, the Red Bull’s of Max Verstappen and Daniel Ricciardo lapped up. And what a drive by Max. Losing form and tyre degradation and the pace off course, saw Max slip to P16 with over 15 laps to go. And boy did he go all guns blazing to emerge with a top-notch P3! 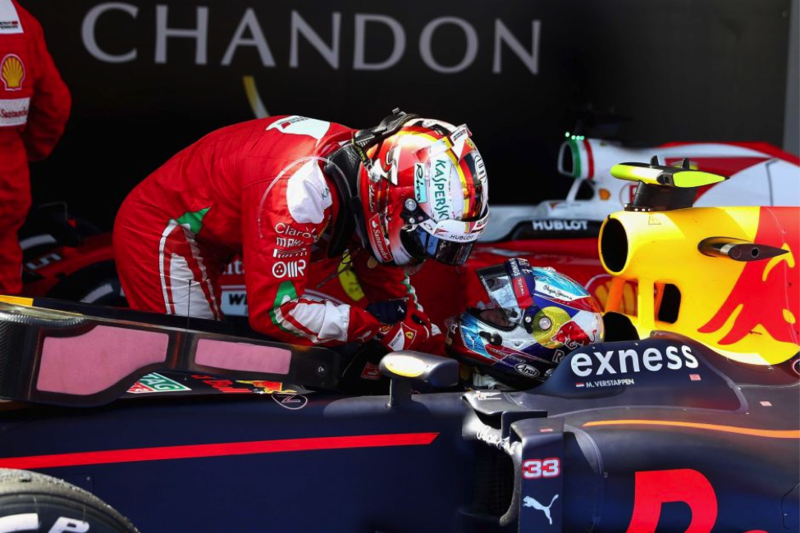 If chaos is the word to describe the Brazilian grand prix of 2016, then Ferrari are the adjectives and Red Bulls the beneficiaries and Mercedes the first class rulers . The race already suffering a delayed start, got the dullest start ever with the famous Mercedes AMG Safety Car leading Lewis and Nico from lap 1. Very quickly, into the 7th lap Raikkonen realized he had no grip in his wets and saw Max scamper through to P3. Then Vettel spun, going from P5 to P16, recovering only just to make it back to P5. Then in lap 20, twice after the safety car had been introduced to make things stable although it seemed unlikely given the ignominy of the wet condition, Kimi Raikkonen’s Ferrari spun and crashed into the walls. 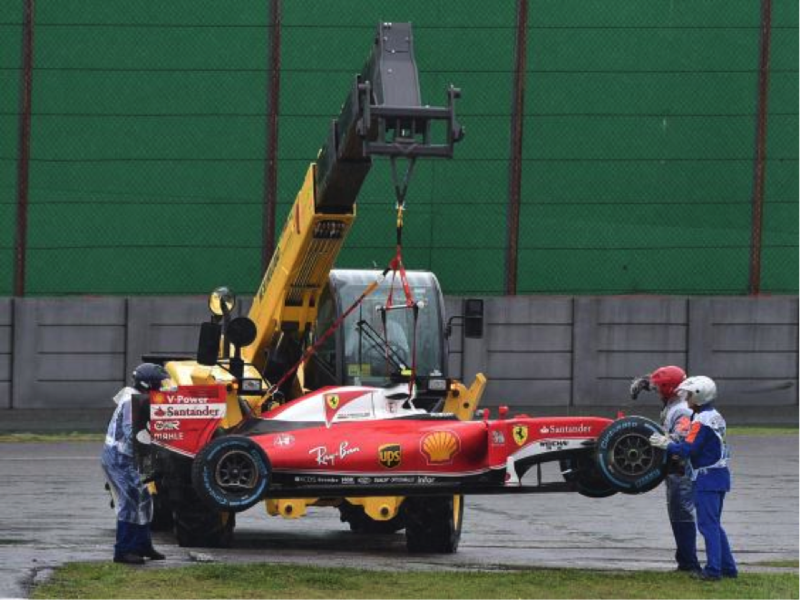 Could Ferrari have received a harsher blow than that, especially since its Iceman had begun the race on P3? That done and Safety car re-introduced, the final 40 laps out of 71 at Brazil were a belter; a bull run on ecstatic pace albeit on an uncontrollably wet track. 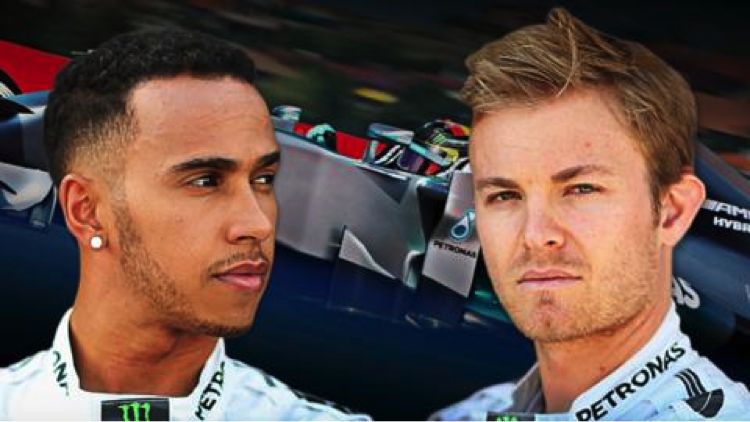 Could the 2016 season have imagined itself a better run than what the Lewis-Nico saga have given it? Probably not. 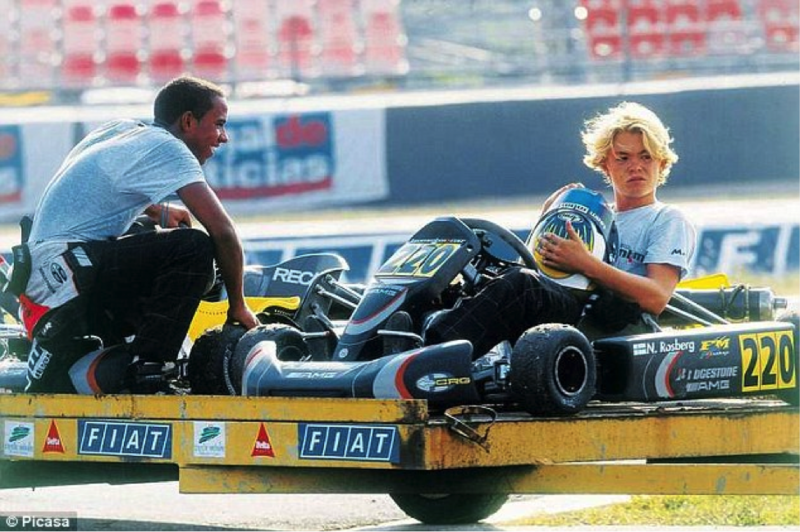 Probably, if the Senna’s and Hunt’s were amongst us and seen the events as they have so dramatically unfolded ever since Rosberg ran a flying race at the European grand prix, his last ‘imperious’ win (the others have come in a mellow warrior fashion except Suzuka) then they would have been caught scratching their heads about the unpredictability that was to follow. Who knew that a season that was so easily going the German’s way would be snapped in its last moments by the dominant Briton who has now waved the crowds from the top of the podium in Senna land, his incredible hero, an idol who he’s fast leaving behind, in numbers if not in awe. 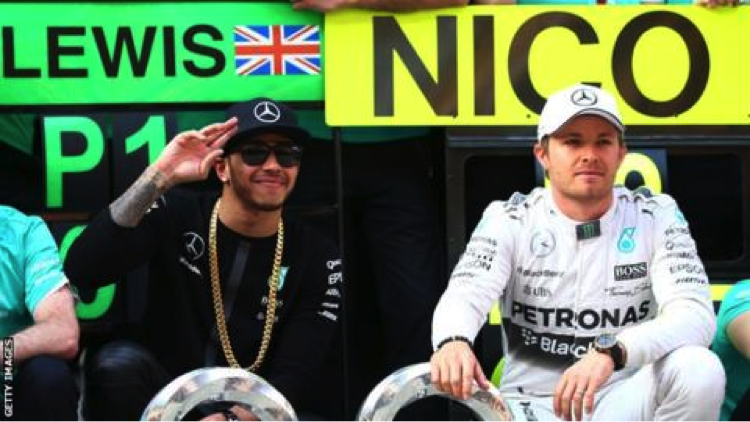 When Lewis went all gaga at Monaco, the official home of 2016 season contender Rosberg, many thought it was a flash in the pan from a hitherto dismal looking Hamilton. But then, Canada happened at Lewis announced that Giles Villeneuve’s land would be his to conquer again, as he has so brilliantly demonstrated before. Finally Robserg saw a reinvigorated Hamilton with his dominant wins at Austria and Silverstone, another cracker of a race. But Robserg has been the hero that Formula One has been waiting to embrace, at least outside of Lewis Hamilton’s fandom. A mercurial run at Spa Francorchamps at Belgium, followed by the cathedral of speed at Monza and his cool and contained run at Singapore told Lewis that Rosberg was no mean pushover. He’s posed the perfectly staid questions to. Lewis’s determined onslaughts on the tarmac. Lewis confused? Lewis stunned? 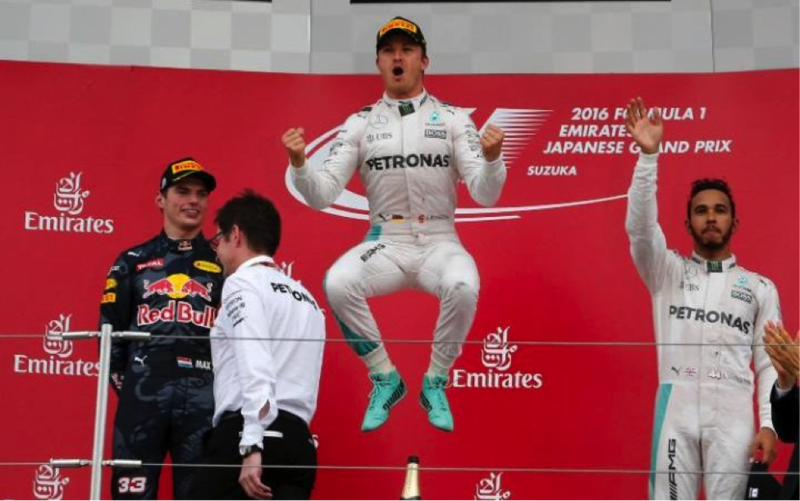 Perhaps the latter was the appropriate term when Rosberg emerged on top at Japan’s Suzuka, a circuit where Hamilton has so often proved to be the samurai. And finally when during the final stages of Sepang at Malaysia, Lewis’s engine blew up, seeing the Red Bull’s roar to the podium along with Rosberg, the triple world champion thought to himself that it was all over with just 4 races to go at USA, Mexico, Brazil and Abu Dhabi. 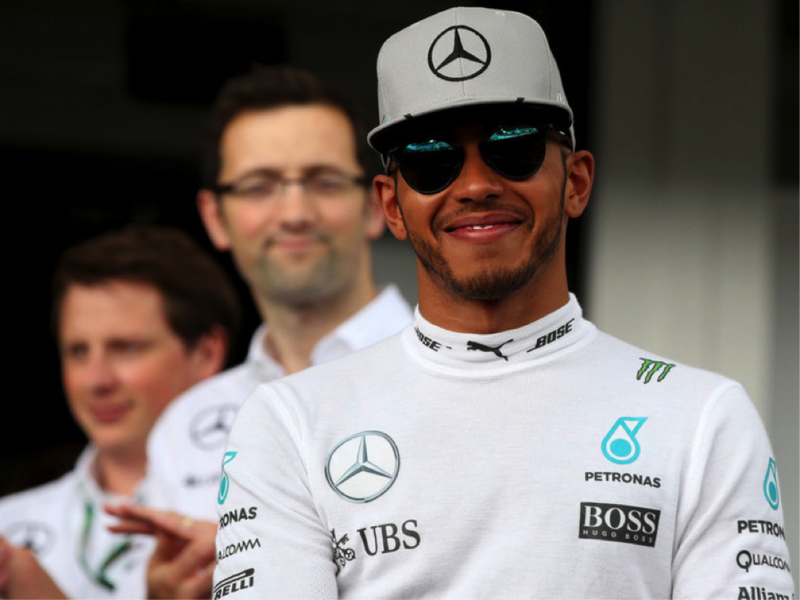 USA race result: Hamilton 1st, Mexico: Hamilton 1st, Brazil: Hamilton- 1st. In all these races, Nico kept up silently albeit with a bit of a dent in confidence with a richly earned P2. 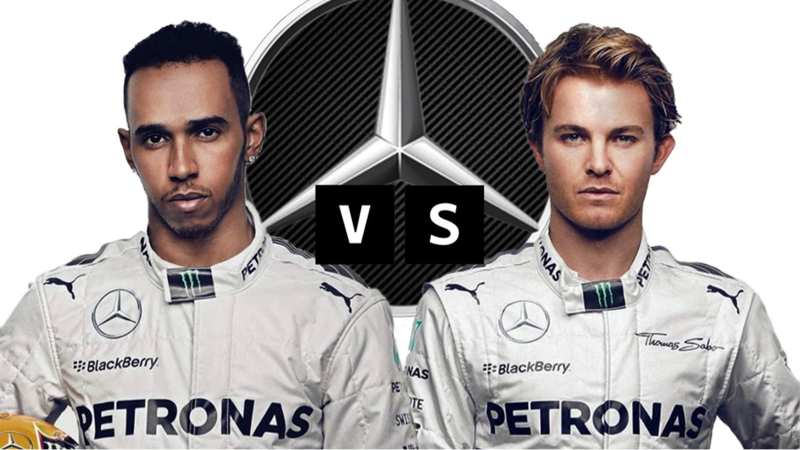 And now how it stands is that anyone could topple the other between the two Mercedes drivers- Lewis Hamilton 44 and Nico Rosberg 6. In between we saw several verbatim between the experienced Sebastian Vettel and Max Verstappen, with the former telling F1 Race director Charlie Whitling the four letter word. 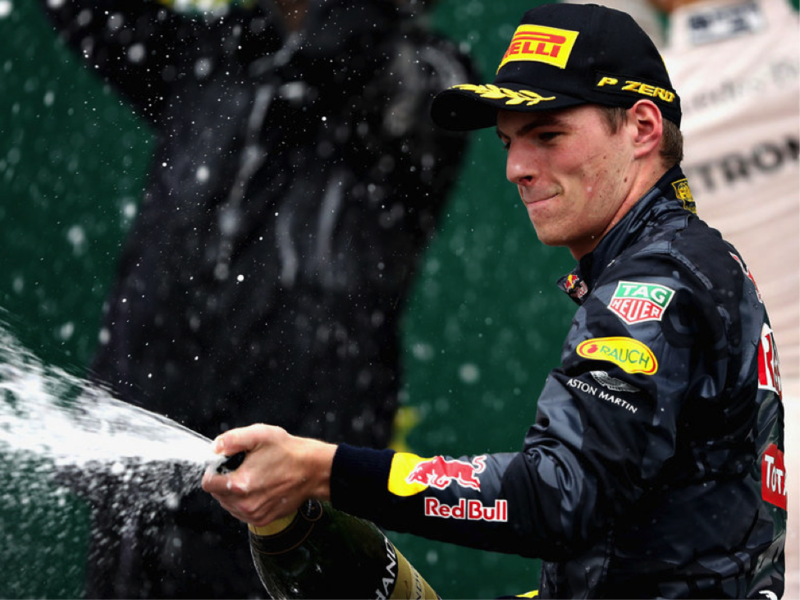 We saw from Max Verstappen a dangerous cocktail of daring and brash racing, perhaps the best F1 has come to embrace since Senna’s volatile genius. And now with Lewis doing the ‘regenmesiter’ like Schumacher in Brazil, perhaps clinching his most memorable 2016 victory, a question is ought to be asked: is Roberg’s heart sinking? What is going on in Toto Wolff’s mind? Is Niki Lauda jumping with an inkling of what’s going to happen at Yas Marina come November 27? Hold on till then. Spare a thought for Nico, who alike Hamilton has burnished his record books with 9 ecstatic 2016 victories and who still holds 12 point lead. But the truth is, Hamilton isn’t his best friend. And this is Formula One where unpredictability reigns supreme. Bring on Abu Dhabi grand prix 2016. Till then- leave us alone, we know what we are doing!